“For their first Christmas, newly established printers Greenford Printing wanted a memorable way to promote their business and at the same time wish their valued clients a ‘Merry Christmas and Happy New Year’. By building on the familiar language of colour specification, Pantone swatches initiated the main theme for our concept. ‘Panettone’ created a colourful twist on the traditional Italian Christmas cake. 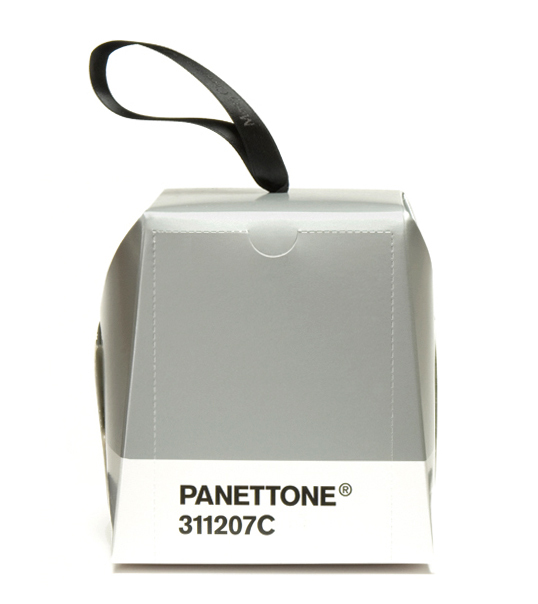 The Panettone boxes arrive as a set of 5, featuring special dates from Christmas Eve to New Years Day, each one representing a different Pantone colour. my italian – pantone admiring – heart goes BOOOM! i love this. Ha ha ha. This put a smile on my face this morning. Clever. And Panettone…yes…it’s definitely a Christmas staple in Italian homes!